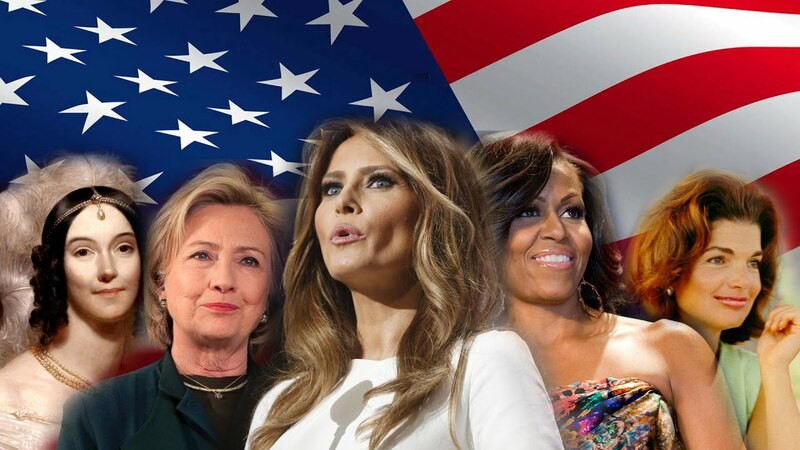 Unfortunately, many people look at the First Ladies of the world as symbolic figureheads who are meant to stand beside their husbands and look pretty. In reality, the First Ladies (and gentlemen) of history have frequently made their own mark upon history. 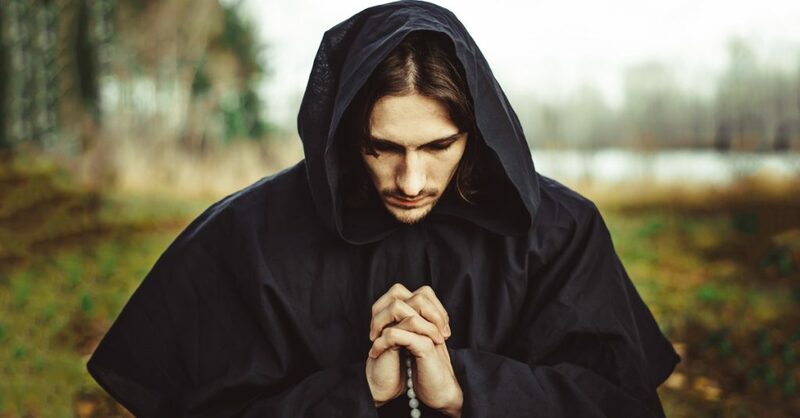 Some have abused their power, others have taken a back seat, and yet others have ambitiously used their influence to create concrete societal change. And they have all worked alongside, or even despite, their powerful spouses. Here are 44 facts that just might give you a newfound respect for the women (and men) who have stood next to some of the world’s most influential leaders. The first American usage of the term “First Lady” in reference to the President’s wife was in 1838. An article in the St. Johnsbury Caledonia newspaper described Martha Washington as the First Lady, even though she was never referred to as such during her husband’s presidency. 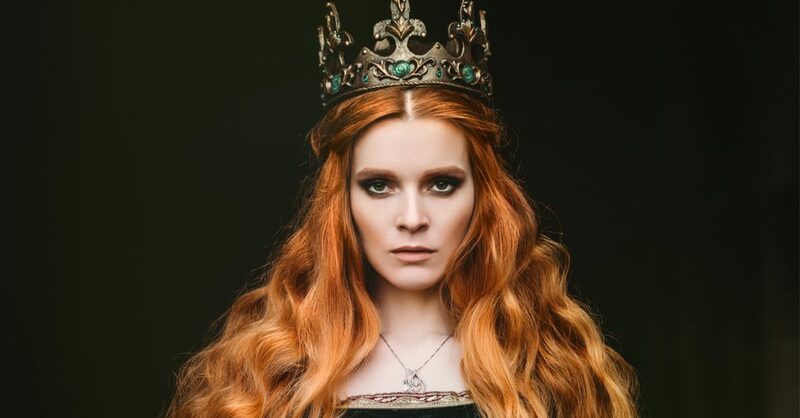 In most non-monarchical governments of the world, the term “First Lady” is used in some form to describe the wives of presidents, prime ministers, or other heads of state. The term isn’t always official or worded exactly in that way, but the trend crosses cultural and national backgrounds constantly. When the head of state is married to a man, the term First Gentleman is generally used instead. 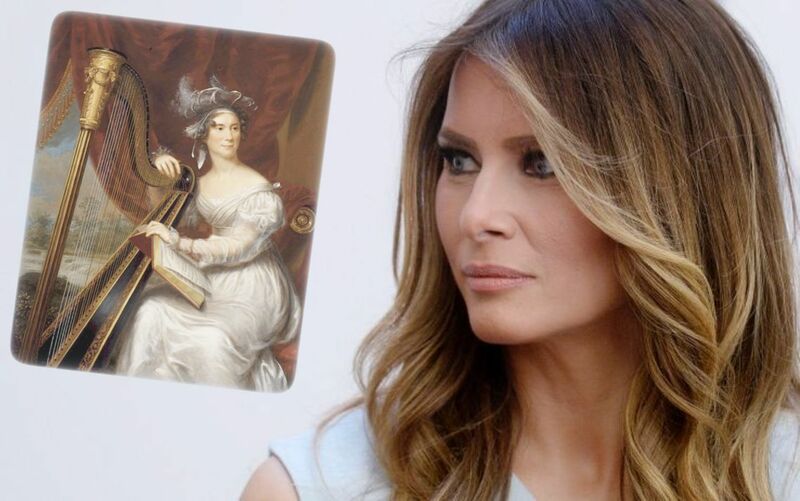 Reportedly, the first public use of the term “First Lady” in the United States to identify a President’s spouse was when President Zachary Taylor referred to Dolley Madison (the wife of former President James Madison) during his eulogy at her funeral. The term became more popular after this use, but it wasn’t used nationwide until 1877, to describe the wife of President Rutherford B. Hayes. 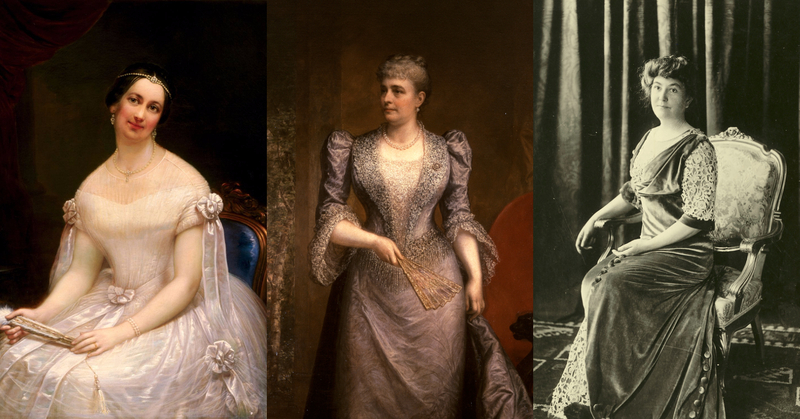 Only three American First Ladies have died while living in the White House. Letitia Tyler passed away in 1842 of a stroke, Caroline Harrison died of tuberculosis in 1892, and Ellen Wilson fell victim to Bright’s Disease in 1914. 40. Who Else Would Sit With Him Otherwise? India does not officially call the President of India’s wife the First Lady of India, but the term is still widely used. The role of the First Lady of India is a chiefly ceremonial one and involves accompanying her husband to state functions and ceremonies. Due to the traditional nature of the First Lady’s position in India, things had to be quickly adjusted after the election of 2007. While Pratibha Patil became India’s first female President, her husband Devisingh Ransingh Shekhawat became the first First Gentleman of India. While expectations have changed radically over the years, the First Lady of the United States has long acted primarily as the hostess of the White House. However that’s not to say the First Lady’s duties have never expanded beyond that, and historian Lisa Burns has identified four main periods where being the First Lady generally followed a specific theme. From 1900-1929, the First Lady was the ideal public woman. From 1932–1961, her role became more like of a political celebrity alongside her husband. In the 60s and 70s, First Ladies developed a persona of political activism, while the 1980s to 2001 featured her as an active political interloper. From January 20 to June 22, 1993, a record number of seven former First Ladies were still alive. 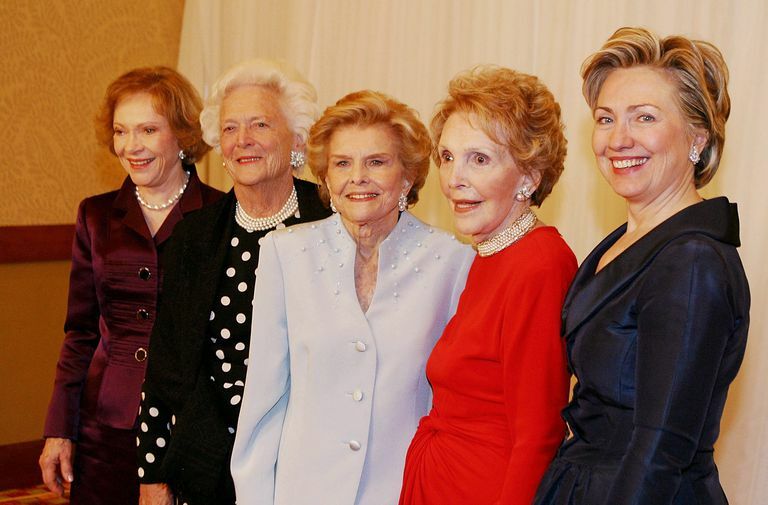 These women were Jacqueline Kennedy, Lady Bird Johnson, Pat Nixon, Betty Ford, Rosalynn Carter, Nancy Reagan, and Barbara Bush, and this didn’t even include the First Lady at the time, Hillary Clinton. 36. Imagine Those Frequent Flyer Miles! 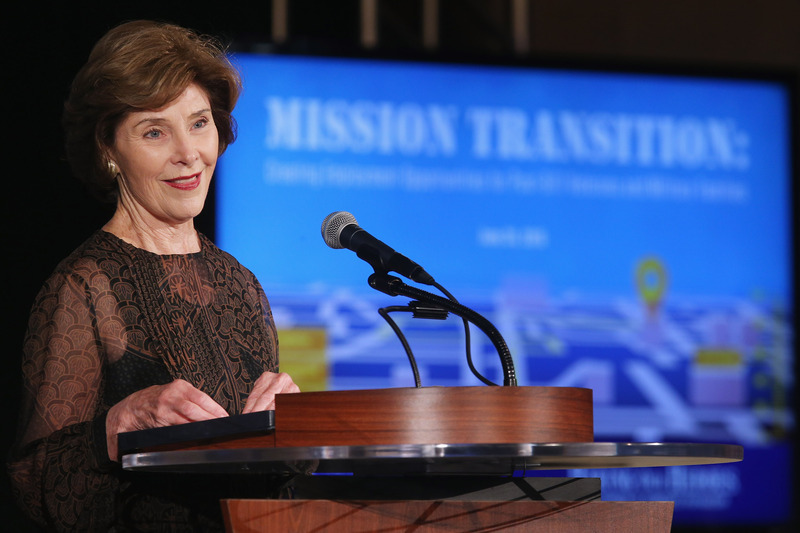 Laura Bush made a name for herself as First Lady of the White House. One of her main causes during her husband’s second term was raising awareness of HIV/AIDS in the developing world. In this pursuit, Bush traveled to 67 countries in four years, including five goodwill trips to Africa. 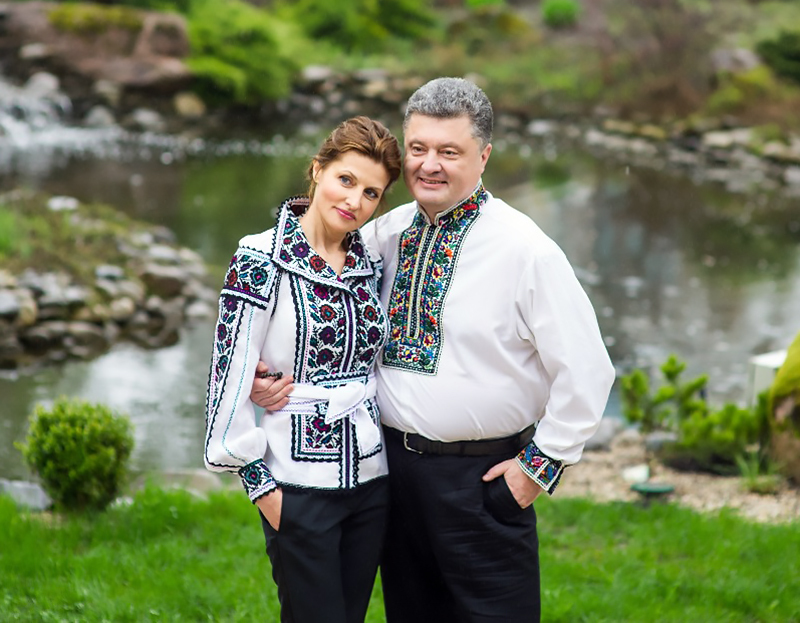 In Ukraine, the term “First Lady” was traditionally a symbolic one and didn’t have any specific opportunities for the First Lady to become actively involved in the government or society. However, Marina Poroshenko, the current First Lady of Ukraine, has defied this passive role by becoming actively involved in the movement for the rights and education of persons with disabilities. 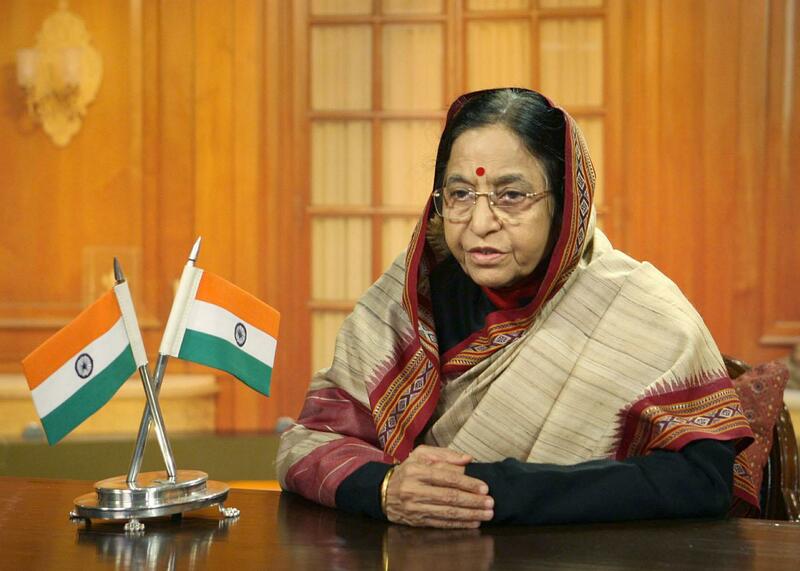 When the Burma-born Janaki Venkataraman became the first foreign-born First Lady of India in 1987, she was determined to make her time count. 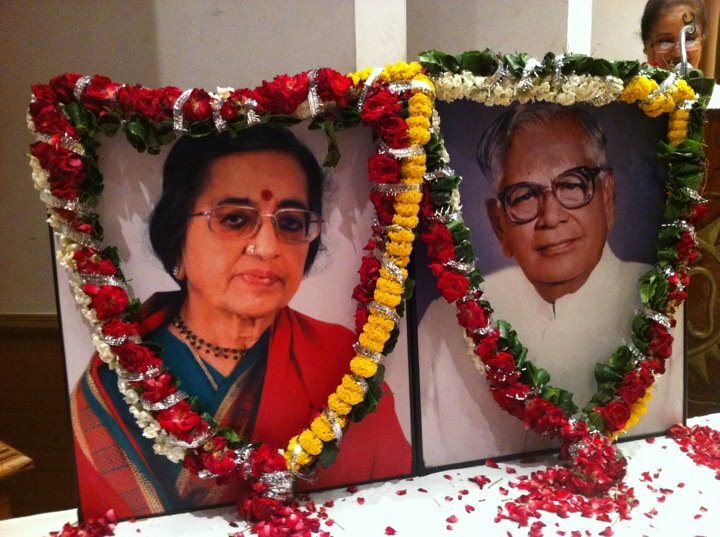 Venkataraman used her position to push social welfare programs through the government. She also promoted wearing saris made of Ahimsa Silk, which is made without disturbing or harming silkworms. When a documentary about her husband only showed her in one frame, Venkataraman demanded that the one image be removed, arguing that she would rather be “noticed in the absence than to be ignored as an insignificant presence.” Presumably, someone gave her a mic to drop in the moment. Not all First Ladies are the spouses of a nation’s leader. Evo Morales was raised by his older sister, Esther Morales Ayma, after their mother passed away. When Evo took the leadership of Bolivia, he was unmarried, so his sister assumed the role of First Lady, actively supporting her little brother’s political decisions. Anna Harrison was married to President William Henry Harrison, and she never even got to see the inside of the White House before her time as First Lady was finished. Both of them fell ill shortly after his inauguration, and William’s illness tragically proved fatal barely a month into his time as President. 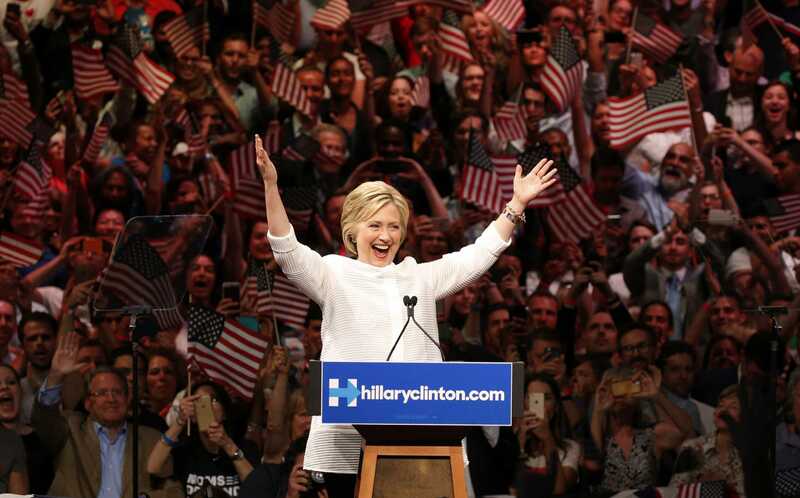 As of 2018, Hillary Clinton is the first, and thus far, only former First Lady to later run for President. Rosalynn Carter refused to be a traditional First Lady when her husband Jimmy was elected President. 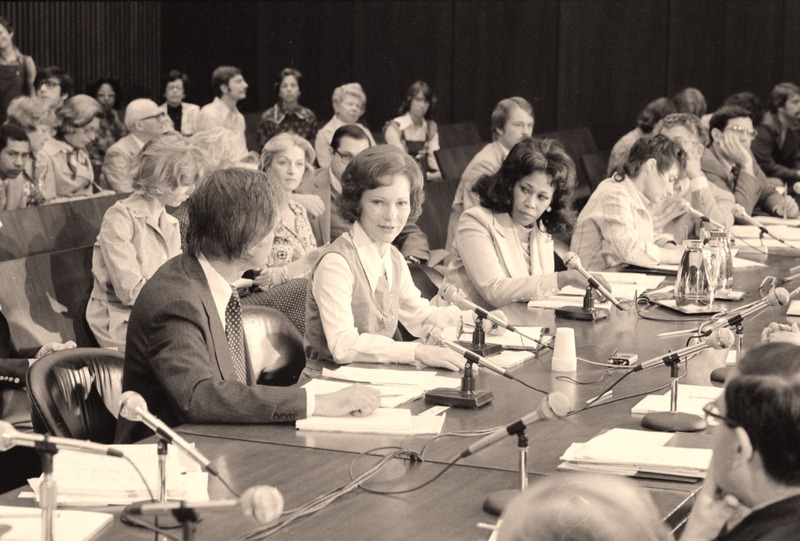 Rosalynn would frequently sit in on Cabinet meetings, taking notes and keeping herself fully informed. Her activism and involvement ate into the time usually reserved for entertainment, which caused a lot of old-fashioned people to criticize her for over-stepping the position of First Lady. For her part, Rosalynn was proud of being called too demanding and denounced the traditional roles of a First Lady as demeaning. In 1979, TIME Magazine dubbed her “the second most powerful person in the United States.” She and Jimmy continued their humanitarian efforts after they left the White House. 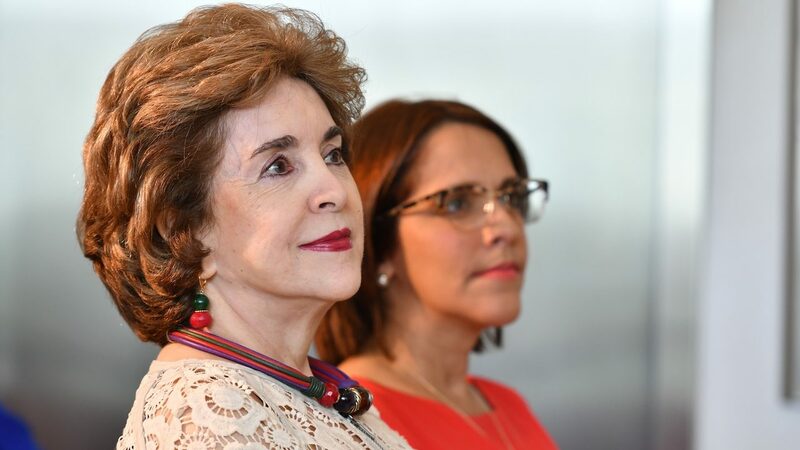 Sila María Calderón broke new ground when she the first woman to be elected governor of Puerto Rico. She decided that she would have two First Ladies as part of her government—her two daughters, Sila Mari, and María Elena. 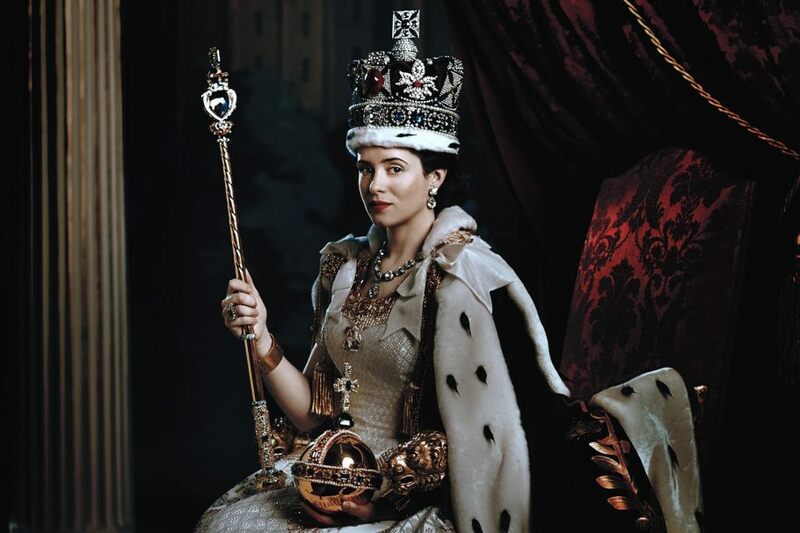 Trinidad de Leon-Roxas, known by the nickname “Trining,” was the First Lady of the Philippines when her husband, Manual Roxas, was President. She was not only the daughter of a senator who married a senator, she also became the mother and grandmother of senators! Woodrow Wilson’s second wife, Edith, had been a financially independent woman before she ever married him. 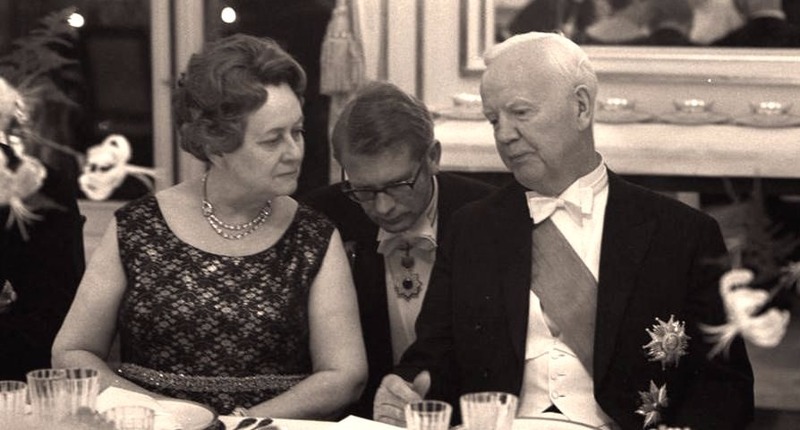 As First Lady, Edith frequently advised her husband during his time as President. Near the end of his Presidency, Woodrow was bed-ridden due to a stroke. 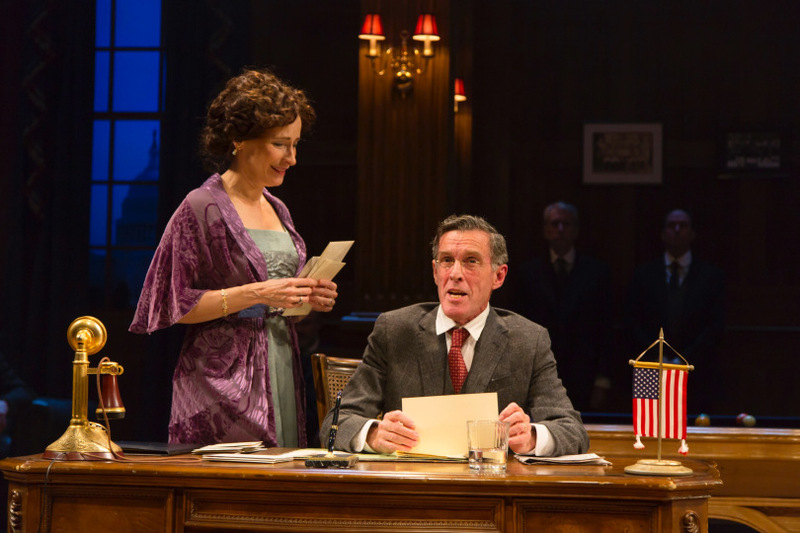 Not only did Edith strive to conceal the extent of his ill health from his enemies, she took charge over which decisions would go forward to Woodrow, while she personally took on part of his workload to spare him the effort. One man noted that Edith was “the Presidentress who had fulfilled the dream of the suffragettes by changing her title from First Lady to Acting First Man.” I don’t think that’s exactly what suffragettes were looking for, but hey, a compliment’s a compliment. 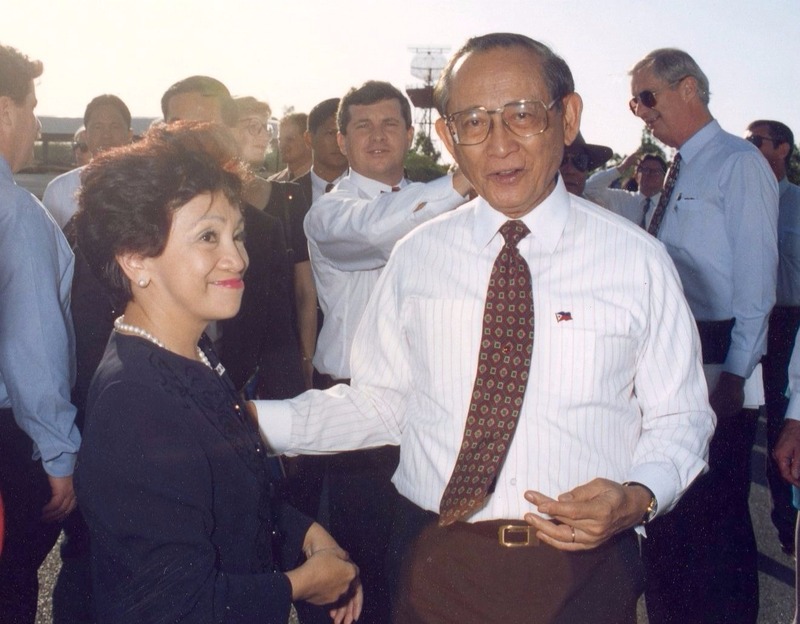 In the Philippines, the title of First Lady is officially called “First Spouse.” This is largely because most Filipino languages don’t use gender in their words, and this came in handy when José Miguel Arroyo became the first (and so far, only) male First Spouse of the Philippines when his wife, Gloria Macapagal Arroyo, was President of the Philippines. 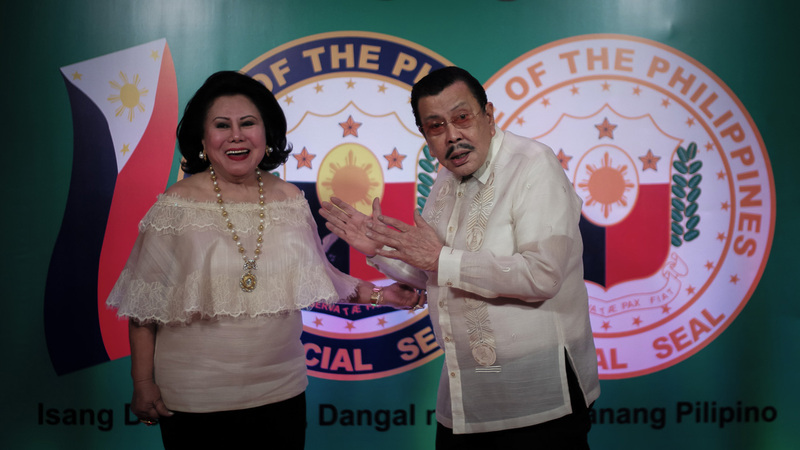 Amelita Martinez-Ramos was President Fidel Ramos’s First Lady, and she left her mark on the Philippines through her love of sports. In her younger days, she was an avid athlete and participated in twenty different kinds of sport, sometimes quite competitively. She was also the reason behind badminton becoming a beloved Filipino pastime during her term. Despite the responsibilities and the endless scrutiny of a nation upon them at all times, the First Ladies of the US have yet to receive a salary for their work. Presidents such as Ronald Reagan and Barack Obama have spoken out about how unfair the situation is, but the US government has yet to rectify the situation. 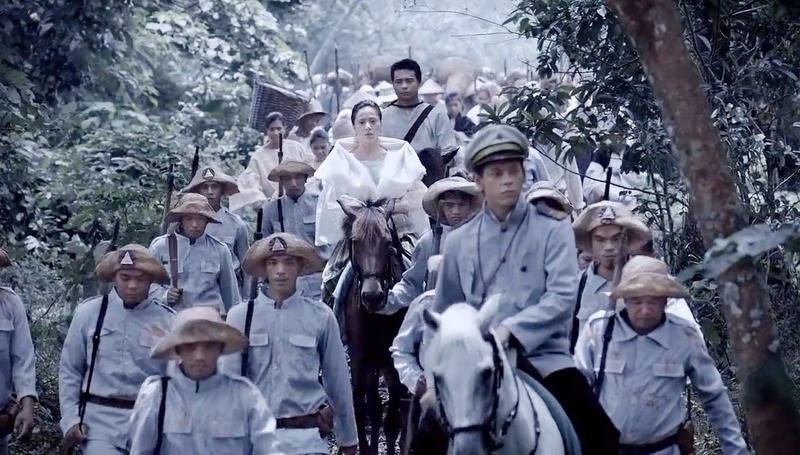 Luisa Pimental-Ejercito Estrada didn’t let being the First Lady of the Philippines overshadow her time helping others. She spent fifteen years working as a volunteer doctor in San Juan, Manila, and in her time as First Lady she established a foundation which had granted scholarships to over 10,000 graduates in just ten years. It’s inevitable that the First Ladies of the US receive scrutiny for their fashion choices, and several of them were happy to oblige. Jackie Kennedy and Nancy Reagan both became worldwide celebrities for their glamorous and elegant clothing, while more recently Michelle Obama also gained a significant amount of praise from sources such as Vanity Fair for her own dabbling in the world of fashion. Aside from Melania Trump, only one other First Lady of the United States was born outside of the United States: John Quincey Adams’ wife, Louisa, was originally from England. 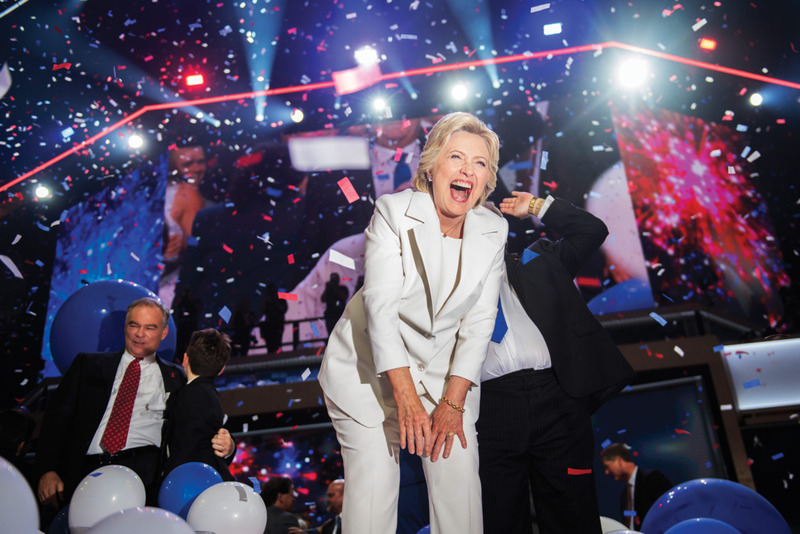 During her time as First Lady, Hillary Clinton was tasked by her husband to chair a task force which would reform the nation’s health care laws. Her dedication to the plan was only matched by the vicious opposition she received from opponents to health care reform. 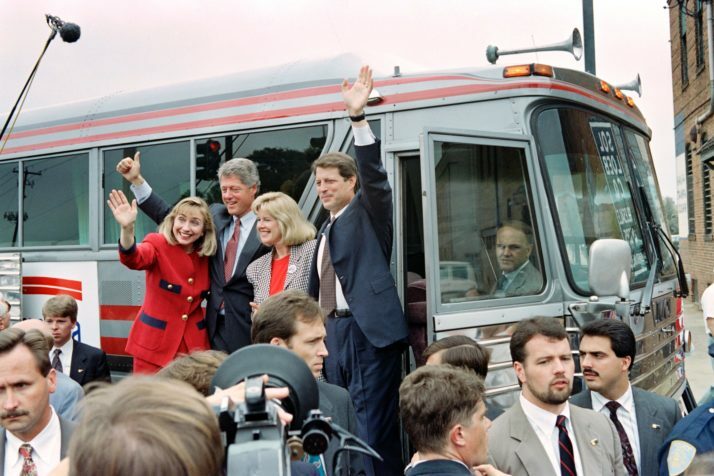 There were times during the 1994 bus tour to rally support for the plan where Hillary reportedly had to wear a bulletproof vest. 18. What to Call This Irish Lass? In the Republic of Ireland, “First Lady” isn’t an official title, but it is commonly used in public and in the media. The term describes the wife of the Irish president, but to make matters more confusing it’s also occasionally used in reference to the wife of the Irish Taoiseach (Prime Minister). 17. Or This Irish Lad? 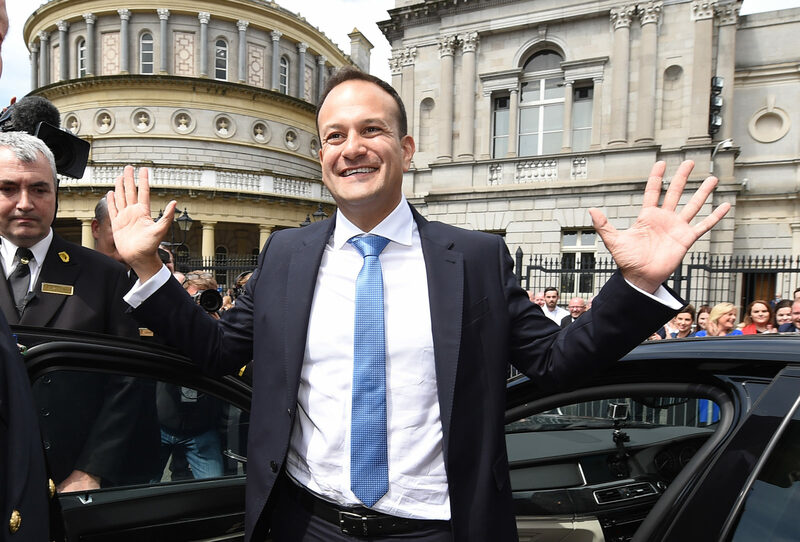 The term changed for Ireland when they elected their first LGBT Taoiseach in 2017. 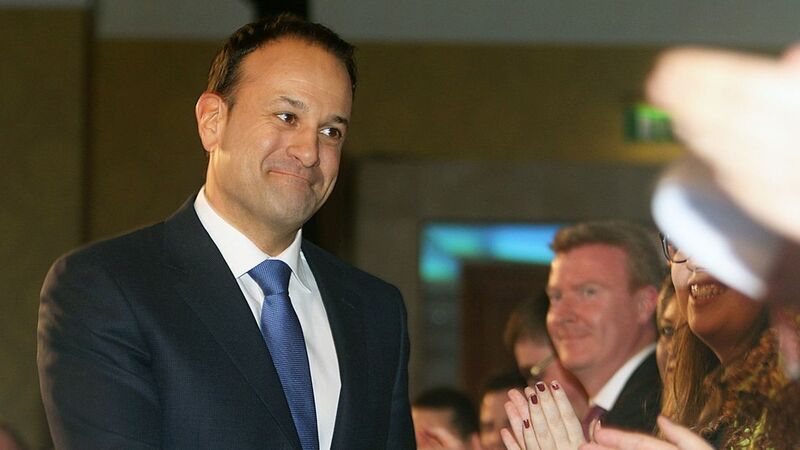 Leo Varadkar has said that he doesn’t expect his partner to fulfill all of the First Gentleman duties, though it still marks an important first in Irish politics. 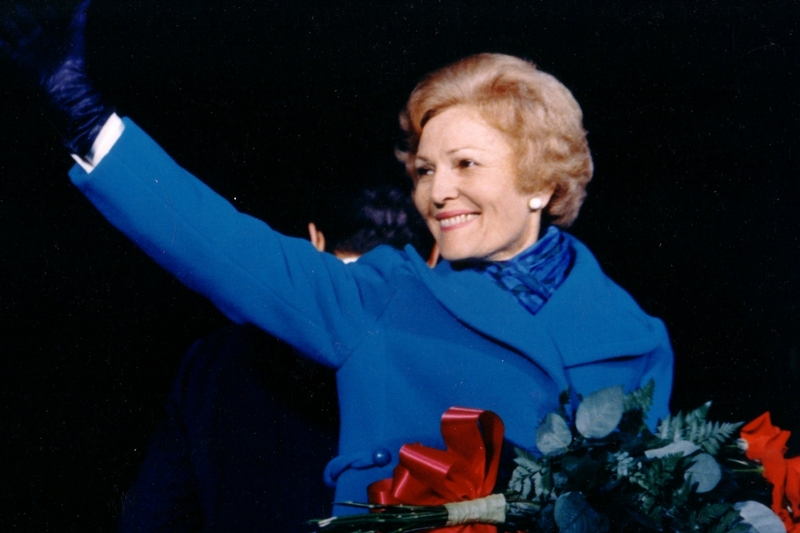 Pat Nixon holds the distinction of being the first First Lady in American history to receive a graduate degree; She earned a four-year degree at the University of Southern California and worked as a teacher. If that wasn’t enough, she also holds another important First Lady first: she was the first one to wear pants in a public forum. Slow down, Pat! 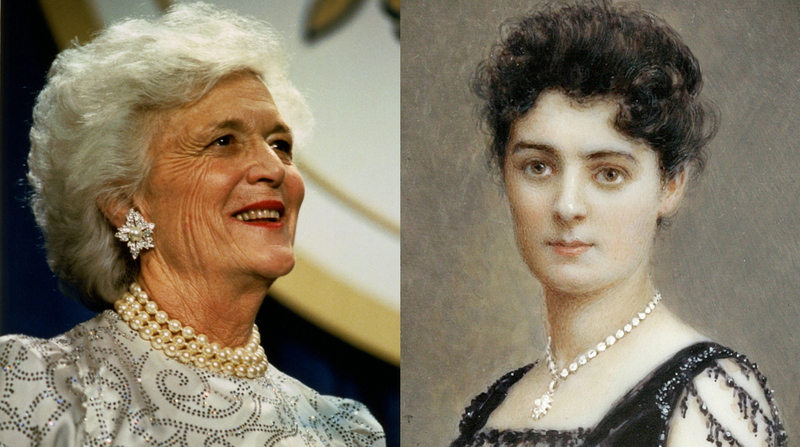 At nearly 64 years of age when her husband was sworn in as US President, Barbara Bush holds the distinction of being the oldest First Lady at the start of her tenure. Frances Cleveland remains the youngest President’s wife, having been 21 when she became First Lady to President Grover Cleveland. In a thoroughly creepy twist, Frances was the daughter of Cleveland’s business partner, and Cleveland was her guardian when she was a child. When her father died, many people expected Cleveland to marry Frances’ mother, but instead he married Frances, who was 33 years his junior. 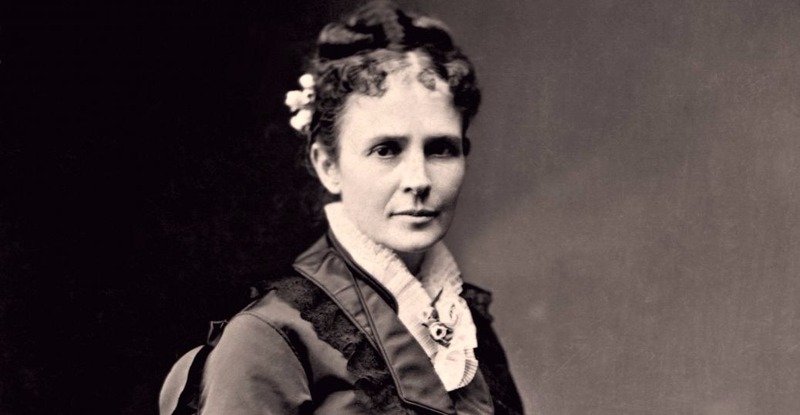 Lucretia Garfield was a champion of women’s rights in a time when women couldn’t even vote, and she used her power to great effect in her fight against sexism. 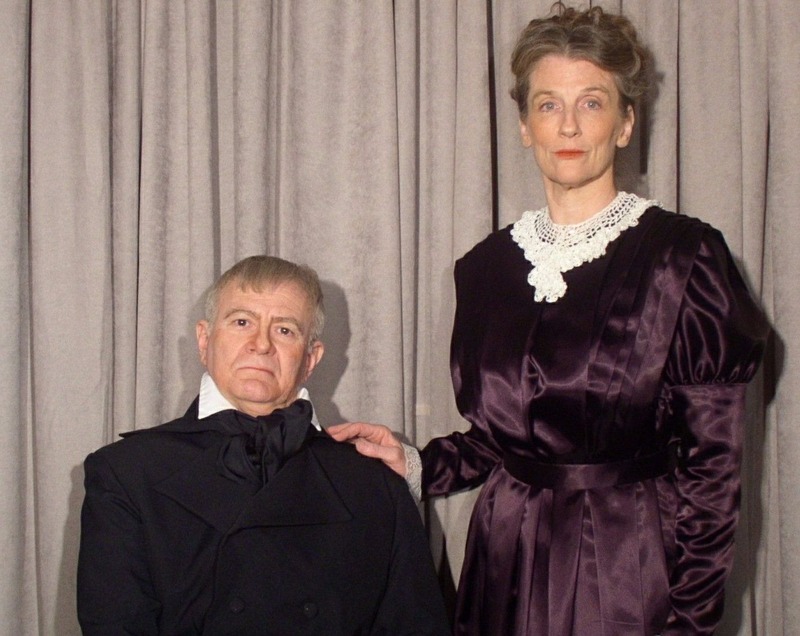 When her husband, President James Garfield, was shot, he was tended to for three months. One of the physicians who was hired to attend him had the misfortune of being a woman. When Lucretia heard that Dr. Susan Edson had only been paid half of what the male doctors had been paid, she somehow managed to confine her outrage to letter format. Her disgust at such blatant discrimination led Edson to be paid an amount equal to her colleagues. Novel concept, eh? 13. Pick an Issue and Go! 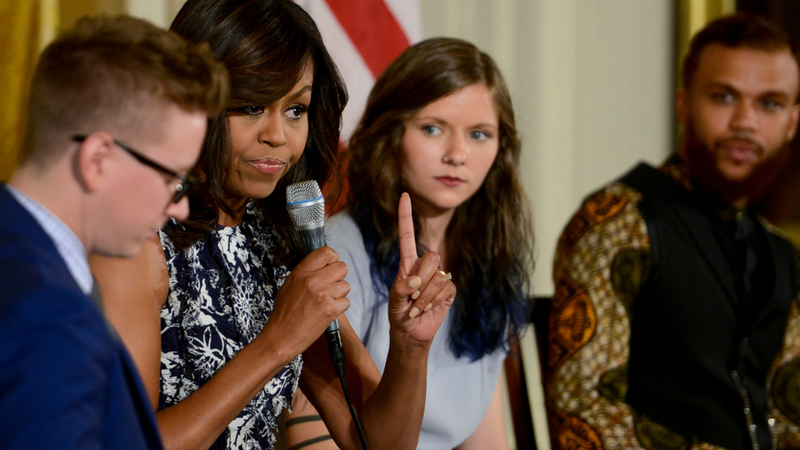 Throughout the 20th and 21st centuries, the First Ladies of the US have increasingly become known to take on a specific issue during their time in the White House and make it a personal cause. These issues are usually kept as non-partisan as possible, though there have always been exceptions. We suspect that someone must have challenged President William Howard Taft’s wife, Nellie, to be the most unique First Lady she could possibly be—or maybe she didn’t need any encouragement. 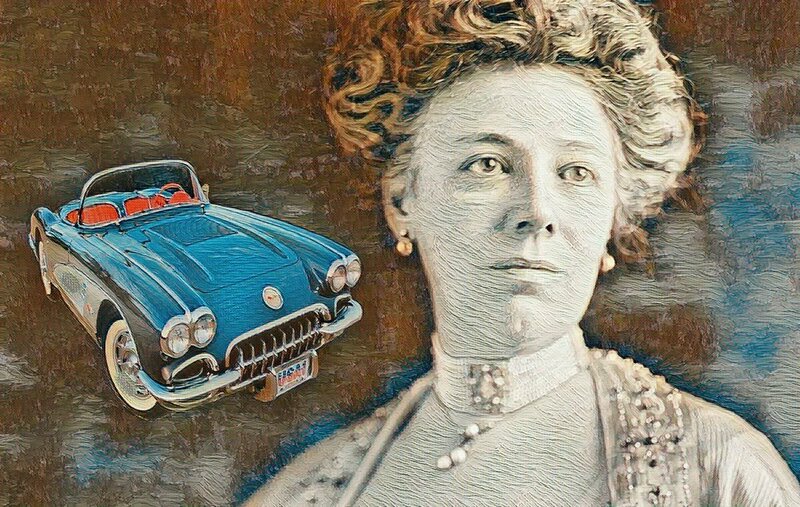 Regardless, Nellie Taft was the first American First Lady to own and drive a car, to publish her own memoirs, to openly support women’s suffrage, to smoke cigarettes, and ride in her husband’s inaugural parade. Party on, Nellie! 11. Maybe Start at Home? 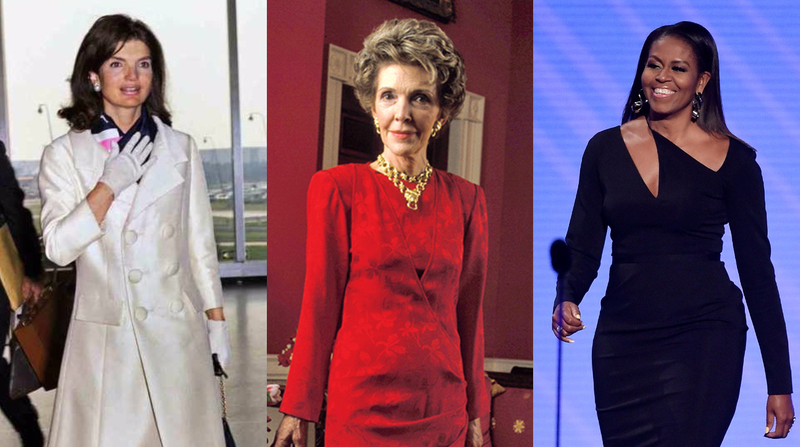 Many First Ladies have chosen a cause to make their own in recent decades, but two of these women actually ended up, in a way, directly countered by the actions of their husbands. Lady Bird Johnson advocated for the beautification of the US, with the planting of flowers and trees across the nation. All this occurred while her husband, Lyndon B. Johnson, continued to escalate a devastating war in Vietnam which routinely destroyed the livelihoods and environments of the Vietnamese people. In a more recent case of irony, Melania Trump has attempted to tack the issue of cyberbullying, all while her husband, Donald, has become famous for hurling insults at his detractors via Twitter. Eleven women have served as Second Lady (wife of the Vice-President), only to later become First Lady. In order, they are: Abigail Adams, Letitia Tyler, Abigail Fillmore, Eliza Johnson, Edith Roosevelt, Grace Coolidge, Bess Truman, Pat Nixon, Lady Bird Johnson, Betty Ford, and Barbara Bush. Hilaria del Rosario-Aguinaldo was the first “First Lady” of the Philippines, though the term wasn’t in use at the time of her term. During the time of her husband’s presidency, she founded a group which was devoted to providing food and medicine to Filipino soldiers. Over time, it grew in size and was renamed the National Association of the Red Cross. 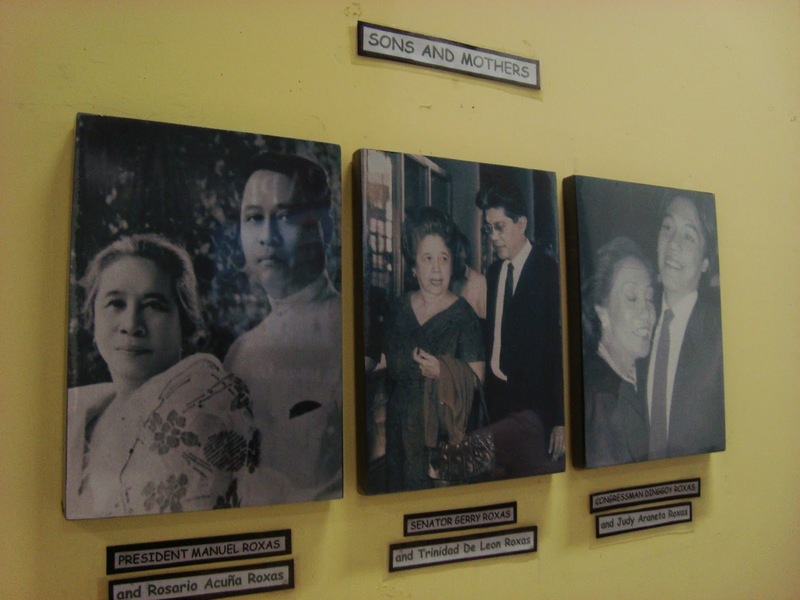 Rosario-Aguinaldo is still recognized as one of the founders of the Filipino Red Cross. 8. They Belong in the Museum! 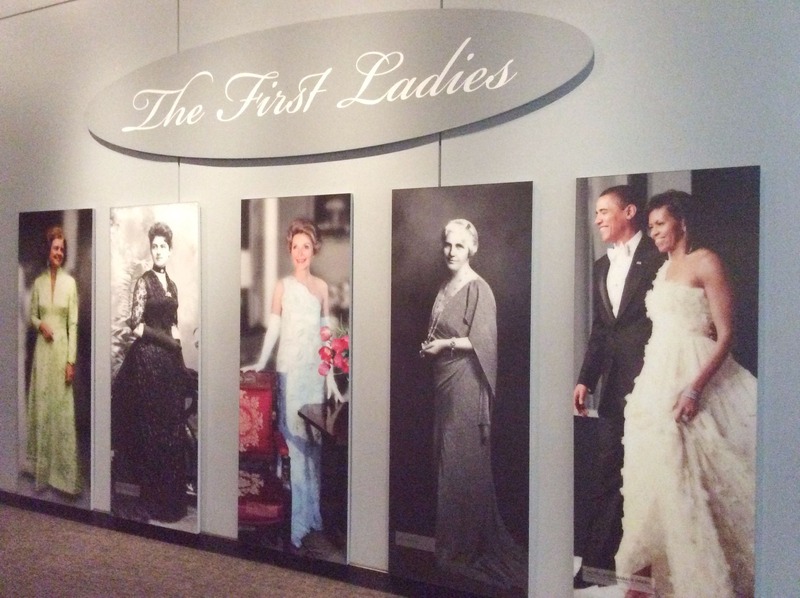 The Smithsonian Institute has an exhibition focused entirely on First Ladies of the United States. While it initially focused largely on their fashion choices, the Institute has since shifted the focus to the First Ladies’ contributions to American society outside of the clothes they wore on their backs. It remains one of the most popular attractions at the Smithsonian. Before her husband became President, Abigail Fillmore had been a schoolteacher. Her love of education and reading led her to apply for a $2,000 grant from Congress to create a library for the White House. 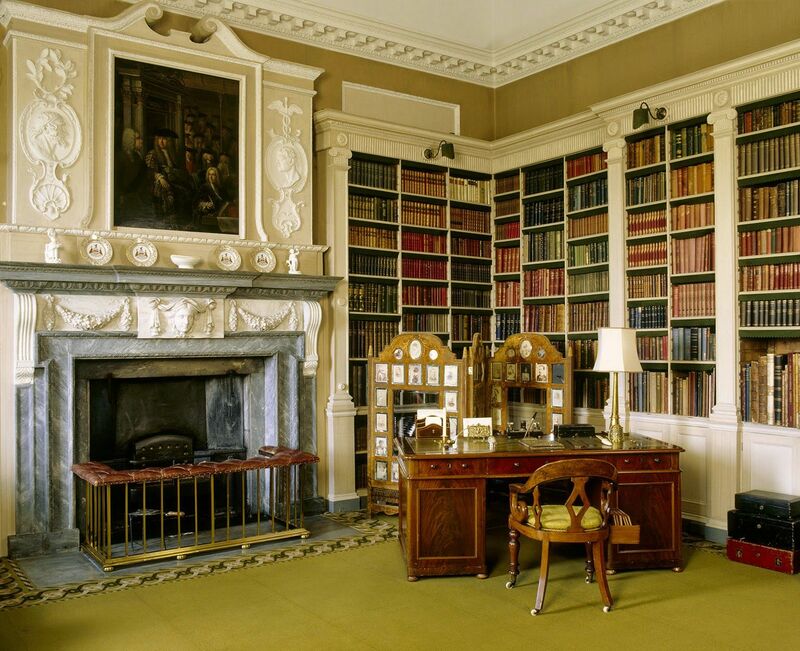 The White House Library is still there to this day in a room that John Adams once used as a laundry room, and it’s a common site for the President and First Lady to hold meetings or tea. Believe it or not, the First Lady of the US manages an entire staff of her own at the White House. Around fifteen people answer directly to the First Lady to aid her with her duties and responsibilities. These include secretaries, speech writers, and project directors. 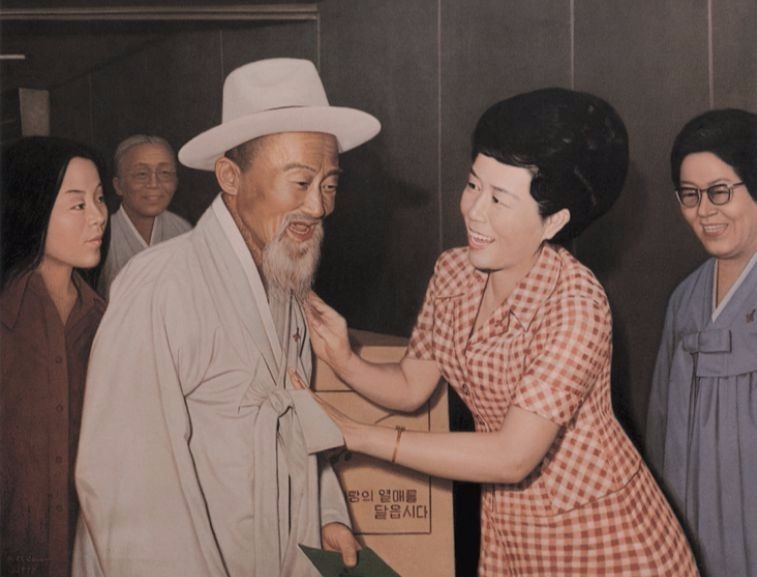 South Korean President Park Chung-hee’s wife, Yuk Young-soo, was assassinated in 1974. After, the position of First Lady went to their oldest daughter, Park Geun-hye. 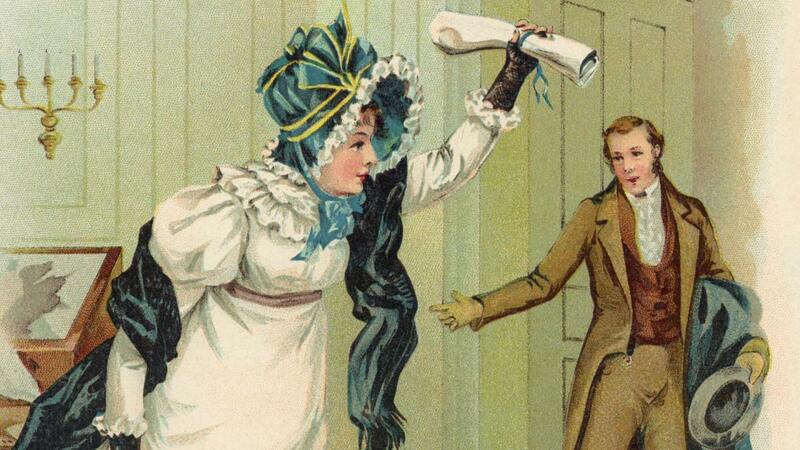 She served as First Lady to her father until his own violent end. Later in her life, Park Geun-hye became President of South Korea, and the first woman in East Asia to become President through popular election, but in 2016/2017 she would be impeached and imprisoned for abuse of power. 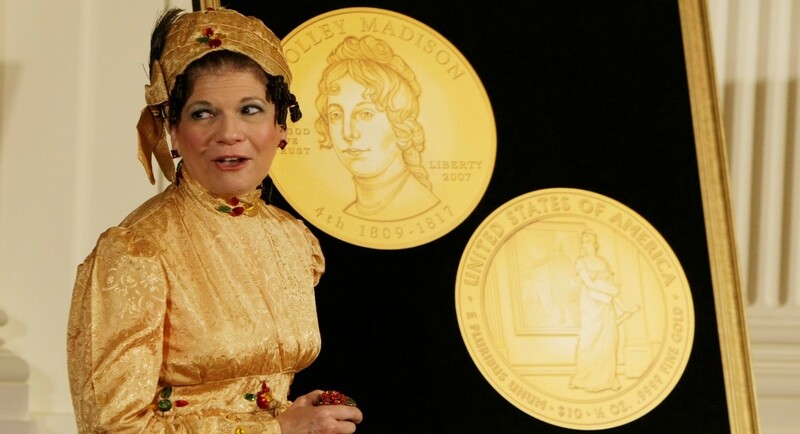 Even before her husband James ever became President, Dolley Madison served as a sort of First Lady to President Thomas Jefferson while James was his Secretary of State. Because Jefferson was a widower, Dolley assumed the position of hostess for celebrations at the House (this was before the White House was painted white, mind you). 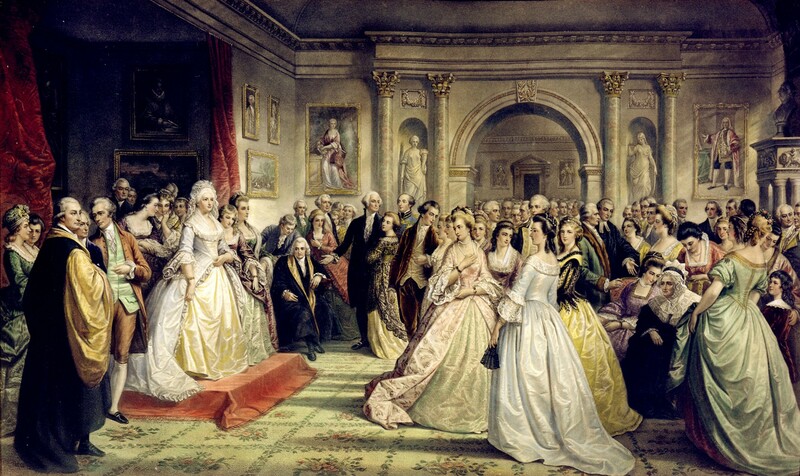 Later, when James because President, Dolley became the first woman to witness the President being sworn in. 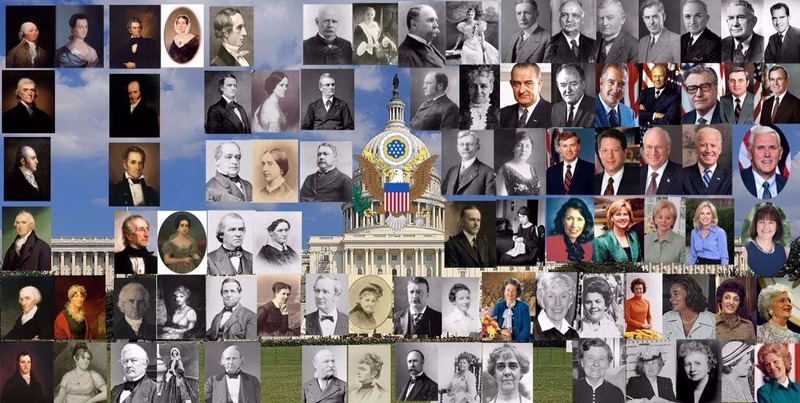 Dolley’s social graces contributed greatly to his popularity, and she was the only First Lady to get an honorary seat on the floor of Congress. 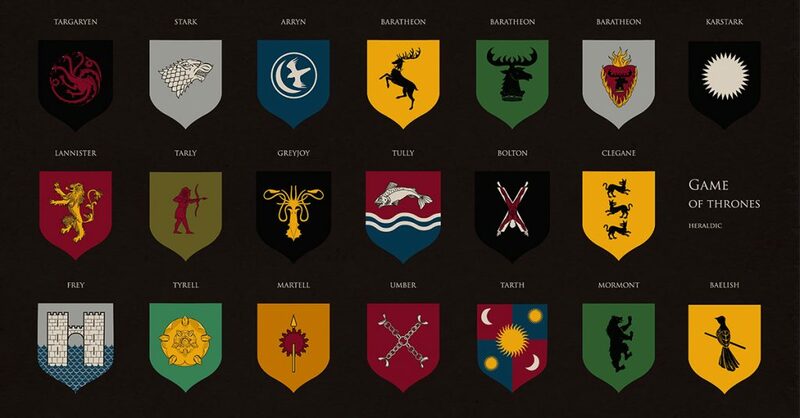 3. Who Could You Possibly Need to Protect Me From? 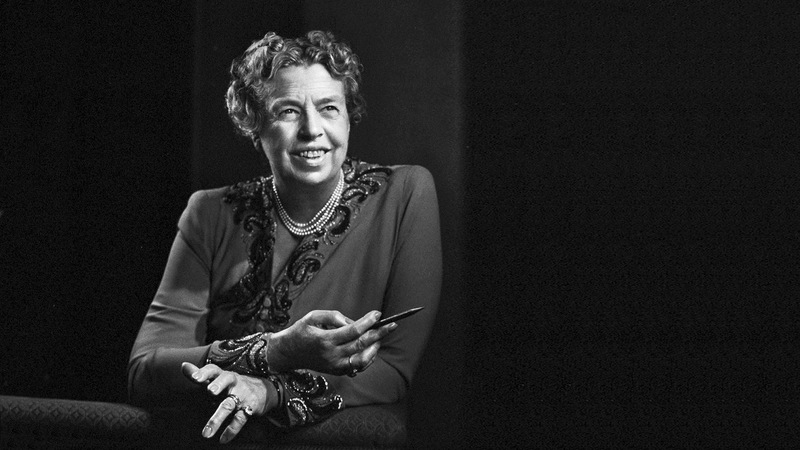 Eleanor Roosevelt must have been one of the US’s most formidable first ladies. Frequently determined not to be pandered to, Roosevelt actually refused secret service protection, instead, acquiring a pistol and learning to fire it herself. Pretty fierce—no wonder Cardi B is a huge fan of hers, on top of sharing a birthday. Some women don’t necessarily relish in the role of First Lady, but while some people would discreetly hide their frustration, Betty Ford wasn’t one to keep things locked inside. 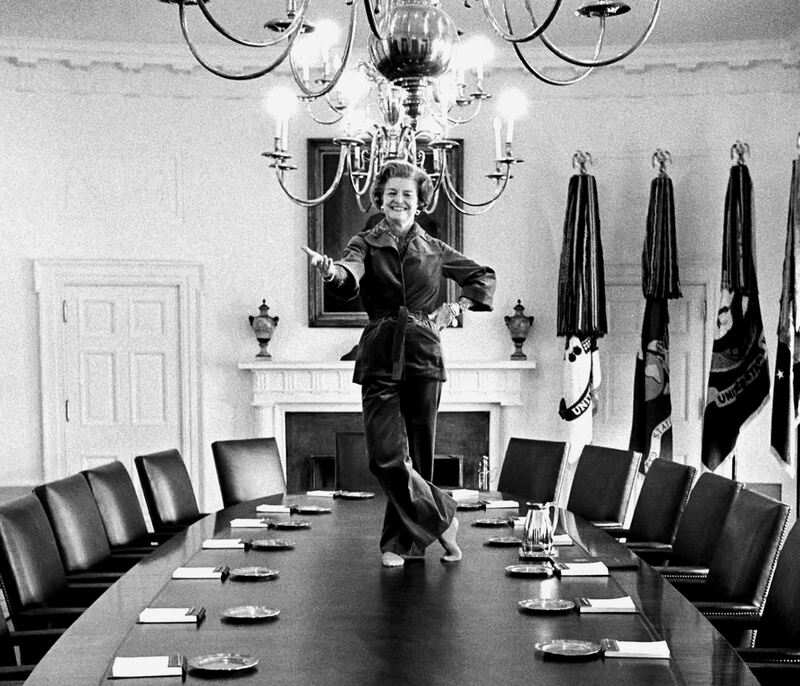 On the last day of Gerald Ford’s time in office, it’s said that Betty Ford tap danced on the Cabinet room’s conference table. Ford was outspoken about her battle with breast cancer during her tenure as First Lady, and following her 1974 mastectomy, she became addicted to painkillers. After she left the White House, she developed a drinking problem, leading to her family finally organizing an intervention. She decided to seek treatment when her husband said to her “‘We love you too much to let this happen.” Ford went on to found the Betty Ford Center, which is a treatment center for substance abuse and addiction. Most people know the famous story of Lyndon B. Johnson being sworn in as President on Air Force One shortly after President Kennedy’s assassination. 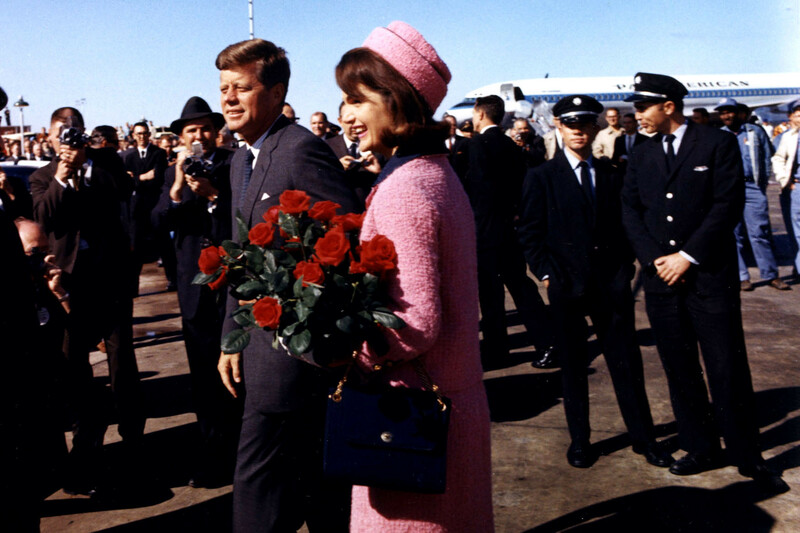 However, what the history books tend to leave out is the fact that JFK’s widow, Jackie Kennedy, was witness to the inauguration, and she was still wearing the dress that was stained with her husband’s blood. She refused to change her clothes, insisting that she wanted the world to know what had happened.